When it feels like God has forsaken you, keep your faith and PUSH—Pray Until Something Happens! Sometimes we need a reminder that prayer is real, and God gives us exactly what we pray for…and more. When you begin to pray and ask God to remove all distractions from your life, you’ll discover the purpose He has for you—and that’s when things start changing for the better. God Did it for Us is about relationships—with other people and with God. It’s an inspirational tale as well as a love story about the author and his wife, including relevant scriptures to help you find your own love story. With prayer and faith, you, too, will be able to recognize the person God has created to be in your life! 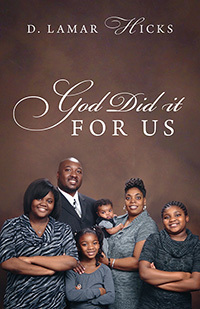 Lamar Hicks is a God-fearing man who has been married for five years and has four daughters. His goal is to help others recognize their soul mates, as he did with his wife, Stephanie, and to persevere through life’s “hiccups,” which help our relationships grow. 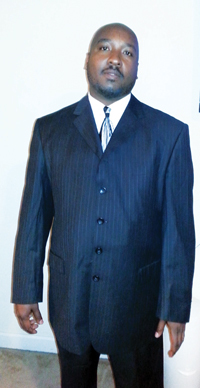 Lamar credits God for the words and visions necessary to write God Did it for Us.